The finalists are Deborah Budd, Ed.D., who is currently serving as Interim President, Berkeley City College; Brian Ellison, Ed.D., Vice President of Instruction and Student Services at San Diego Continuing Education (SDCE); and Arturo Reyes, Executive Vice President of Academic and Student Affairs at the Solano Community College District. Each of the three candidates will participate in a public forum on November 27, 2012, beginning at 12:30 p.m. in the Berkeley City College Auditorium, 2050 Center Street, Berkeley, Calif. The forum schedule is as follows: Dr. Ellison 12:30 p.m.–1:15 p.m.; Dr. Budd 1:20 p.m.–2:05 p.m.; and Mr. Reyes 2:15 p.m.–3:00 p.m.
Members of the college community and the public are invited and encouraged to attend the public forum. The forum, which will be moderated by Jayne Matthews, a Berkeley City College Business Department faculty, and will consist of a brief introduction of each candidate, followed by a short presentation and a question and answer session. Comment forms will be given to all who attend and the completed forms will be given to the Chancellor for his review. The Chancellor will interview each of the candidates and make a final decision as to which will become the next President of Berkeley City College. Finalist biographies follow and photographs of the candidates can be found on the Peralta Colleges Website, www.peralta.edu. Dr. Deborah Budd has over 16 years of administrative experience and nine years of teaching experience. She is currently serving as the Interim President for Berkeley City College of the Peralta Community College District. Previously, she served over the past four years as the Vice Chancellor of Educational Services and as the Associate Vice Chancellor for Academic Affairs for the Peralta Community College District. Dr. Budd also served as Vice President of Instruction for Berkeley City College prior to assignment at the District Office. She was Vice President of Educational Resources and Instruction for Foothill College in Los Altos Hills, and served for six years as the Dean of Applied Health, Physical Education and Community Affairs for Chabot College. In addition to her community college experience, Dr. Budd has been both a teacher and administrator at the middle and high school level. Her recent dissertation, Institutional Effectiveness and the Relationship to African American and Latino Transfer Rates, highlights her extensive knowledge relating to the integration of planning and budgeting, accreditation and suggestions for beginning to close the opportunity gap. She has a great deal of experience with enrollment management, grants, and facilities bond implementation, and have expertise in working with faculty to develop innovative programs to increase student success. 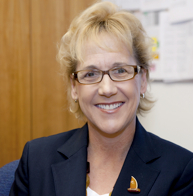 Dr. Budd received her Bachelor’s Degree in Business Economics and Physical Education from University of California at Santa Barbara, her Master’s in Education from Stanford University and her Doctorate in Educational Leadership from San Francisco State University. Dr. Brian Ellison has served in a variety of leadership positions during his 24 years in the community college system, including Dean of Vocational Education, Dean of Instruction and currently Vice-President of Instruction and Student Services for San Diego Continuing Education (SDCE). He taught, as a tenured professor of psychology and sociology, for 12 years at Merced College while serving as the President of the Merced College Faculty Association and Chief Negotiator. He has worked in both large and small districts and currently oversees an urban multi-campus operation in the San Diego metro area serving over 85,000 students annually. While at Merced College he served as the Dean of Vocational Education and later as the Dean of Instruction at City College of San Francisco. Distance education is one of his areas of expertise and while writing his dissertation he served as a DE consultant to the Merced County Office of Education. He has an Associate Degree in Psychology, a Bachelor’s Degree in Psychology and Sociology, a Master’s Degree in Applied Sociology, and a Doctorate in Educational Leadership. Additional areas of expertise include private and public sector construction, contract negotiations, curriculum and program development, strategic planning and organizational change, and personnel management. Mr. Arturo Reyes currently serves as the Executive Vice President of Academic and Student Affairs at the Solano Community College District. He has over 26 years of service in California’s public education system at the high school and community college level. 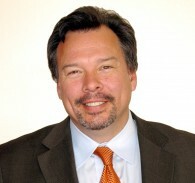 Prior to Solano College, he served as the Interim President and Vice President of Academic Affairs at San José City College, and at the California Community College Chancellor’s Office in Sacramento, he held leadership roles in Academic Affairs and Workforce Preparation and Economic Development. He taught Spanish and assisted as an athletic coach at Cosumnes River College before serving as the college’s Dean of Humanities and Social Sciences for 7 years. He has an excellent record of leadership on numerous shared governance committees and of supporting college initiatives including budget, enrollment management, curriculum, cultural competence and equity, professional development, learning communities, UMOJA, matriculation, Title IX, Puente Project, Basic Skills Initiative, and the Achieving the Dream and Center for Urban Education initiatives to close the achievement gaps and accelerate student success. 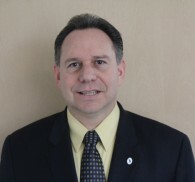 He has led accreditation efforts as the Accreditation Liaison Officer, Steering Committee member and Standard Co-Chair. He has attended ACCJC training, participated in the Indiana University-Purdue University Planning and Institutional Improvement Institute, and has served as an ACCJC evaluation visiting team member. He is in the process of completing a Doctorate in Educational Leadership at the University of California, Davis, having earned his Master of Arts Degree in Education, and Administrative Services Credential at California State University, Sacramento, California, and received dual Bachelor of Arts Degrees in Communication Studies and Spanish.